Next time you hear your toilet running, take note. That could be a sign of a toilet leak. Although you may not worry much about leaks, your family could be wasting 10,000 gallons of water each year because of them. That’s the equivalent of about 270 loads of laundry. 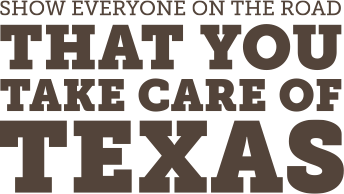 With these challenges in mind, TCEQ’s Take Care of Texas program is encouraging all Texans to conserve water by finding and fixing leaks during the 11th annual Fix a Leak Week, March 18 – 24. Fix a Leak Week, hosted by the Environmental Protection Agency, is for communities across the nation work together to raise awareness of leaks and stop water waste. To learn how to identify and fix leaks, check out the infographic to the right and visit the EPA Fix a Leak Week website.